Hey lovelies! A few weeks back I reviewed a derma roller from Petunia Skincare. I was happy with the results I got from it. Well, my mother also wanted one after she saw mine. I could not give her the one I used because you really shouldn't share these things with other people. My mother got lucky because PS wanted to send me their newer derma roller free to test. I asked my mother if she wanted it but advised she had to be willing to test it according to the instructions so I can write the review up. She agreed. To be fair, the hair applications of their derma roller my mother cannot attest to because she does not suffer from hair loss. She has not used it on her body so cellulite and stretch mark removal was not tested either. My mother has very few lines on her face. She does suffer from dullness. She has definitely lost that youthful glow she once had. She was only able to achieve it when she received a facial. After she used this derma roller and felt her skin, she said her skin felt like it just received a facial. She has also been testing a face serum and facial oil for this blog as well. While I could see improvement with them, she could not. After using the derma roller, she actually felt the products absorbing into her skin and she saw the results on her face for the first time. 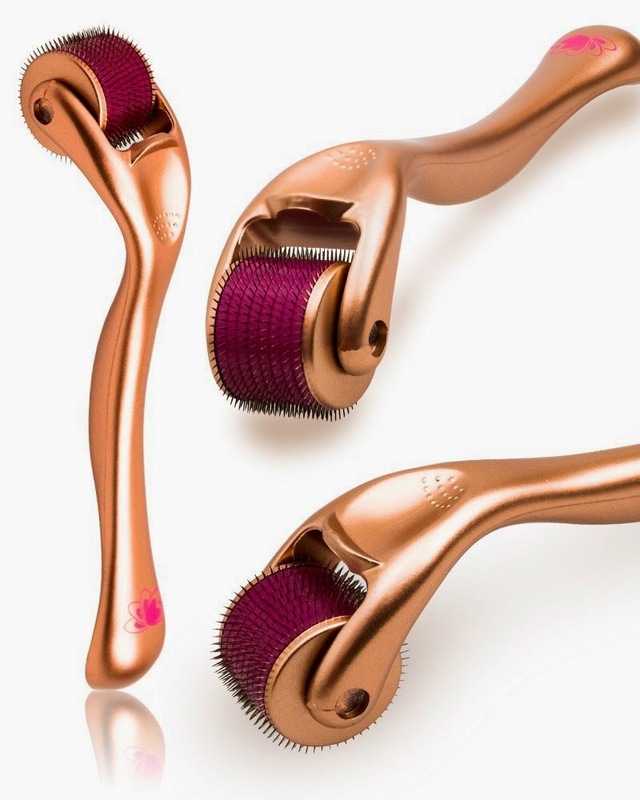 One of the questions I was frequently asked when I used a derma roller was, "Does it hurt?" It did not hurt me when I used the I tested. My mother was worried before she used it as well. She has tiny moles on her face. She was worried of the roller pricking them and making them bleed. I told her to apply light pressure when using it. She did and her moles were not affected at all. If you use it with light pressure, you should have nothing to worry about. "So How Much Does This Cost Again?" Now she wants to know what the derma roller costs. I told her that she wouldn't need another roller any time soon. She said once the neighbors begin to notice the changes in her face they will start asking her what she is using. Suffice it to say, my mother loves this derma roller. She wouldn't let me take a photograph of her. I will have to catch her in a good mood one day to snap a pic and share it on the blog with a list of the products she uses. I keep telling my mom she can't keep her routine all to herself. Share the beauty!